Ever wondered how letterpress and silkscreen printing comes together? Come and see it live while hanging out with old and new friends at our July Field Trip to Czar Press. Plus... take the live prints home with you. FREE! 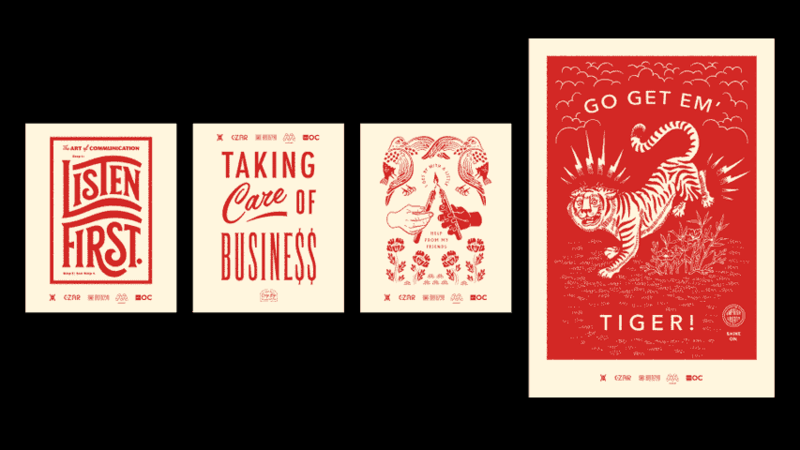 Get a tour of Czar Press: See live printing and learn how letterpress and silkscreen could be part of your next project. Take home prints of these INCREDIBLE pieces shared with us by the amazing Jen & Amy Hood of Hoodzpah Design, printed on beautiful Strathmore Soft White paper from Mohawk. Celebrate the launch of Jen and Amy's new book 'Freelance & Business & Stuff', and buy some of their others goodies from their side-business 'Odds & Sods'. AIGA OC run a free monthly Field Trips program, where we offer a glimpse behind the scenes of workplaces in Orange County where design and creative professionals play a valuable role. This evening wouldn't have been possible without the help and contributions from the following partners.